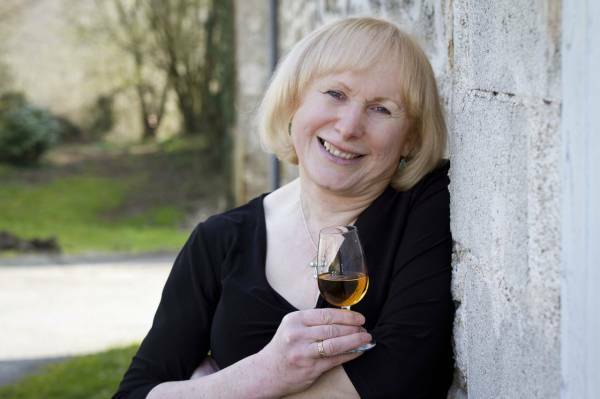 Helen Savage is one of Britain's most respected and knowledgeable wine writers and educators. She is a member of the Association of Wine Educators, which sets the highest standards in wine education in the UK and an increasing number of other countries. She is also a much-respected wine writer and a member of the Circle of Wine Writers. She has twice been short-listed for a prestigious Louis Roederer International Wine Writers' Award and has been a national finalist in the Champagne Ambassador's Award - organised by the Champagne Industry for wine educators - three times. As part of her studies to become a Master of Wine she was awarded the 2012 Champagne Trinity and AXA Millésimes Scholarships. Every year since 1986, as part of her busy and ever-popular schedule of wine education, Helen Savage has run wine study tours to France and other European countries. Her depth of experience in this field formed the basis of Vine Visit, through which, since April 2008, she has been offering an exciting programme of wine events, from tastings and classes to holidays to a dozen different venues. With 'dry' January now mostly behind us (hurrah! ), Helen Savage Wine Education brings glad tidings of some tempting wine tastings and dinners over the next few months. We hope to see you soon! We also have first details of our 2019 Wine Holiday: Burgundy, Tuesday 21 May to Wednesday 29 May. £1499 - just as last year! Also: Lord Crewe Arms, Blanchland, more intimate wine dinners - details coming soon! The full programme is now available on our 'Courses' page. For twenty years Helen Savage was wine correspondent of the The Journal (the leading UK regional daily paper, based in Newcastle). She now writes monthly for The Journal 's Culture Magazine. Her passion for wine and her determination to find the brightest, most innovative winemakers is indefatigable. As a freelance wine writer Helen is delighted to consider commissions from publishers in the UK and abroad. Some in-depth essays on great - and up and coming - wine regions are published exclusively on this web site; and for a lighter note, you can now also read Helen's blog. Helen has a superb first-hand knowledge of French wine. Over many years, she has visited hundreds of small growers across the country. She has owned a house in France since 1991 and speaks fluent French. She has a special interest in the wines of France, especially the Sout West, Burgundy, Champagne and Alsace. Another area of interest is research on organic and biodynamic wine production.